“Do you like your pancakes?” said the elderly lady with a smile, addressing our son. My son, 21 months old and quite a bit grumpy from the bad night’s sleep and early morning, had his answer ready. “No,” he said, in kind of a low whine, as he glowered at the lady. “I’m so sorry,” I laughed, “It’s not you, I promise. He’s grumpy this morning. Say ‘hello’ the lady, Ezekiel – she’s talking to you.” Ezekiel proceeded to stuff some more pancake in his mouth, still eyeing the lady. “It’s okay,” she said, with a sad smile, “He’s doing the right thing – not talking to strangers,” and she turned back to her meal. What she said made me sad and I simply couldn’t agree with her. 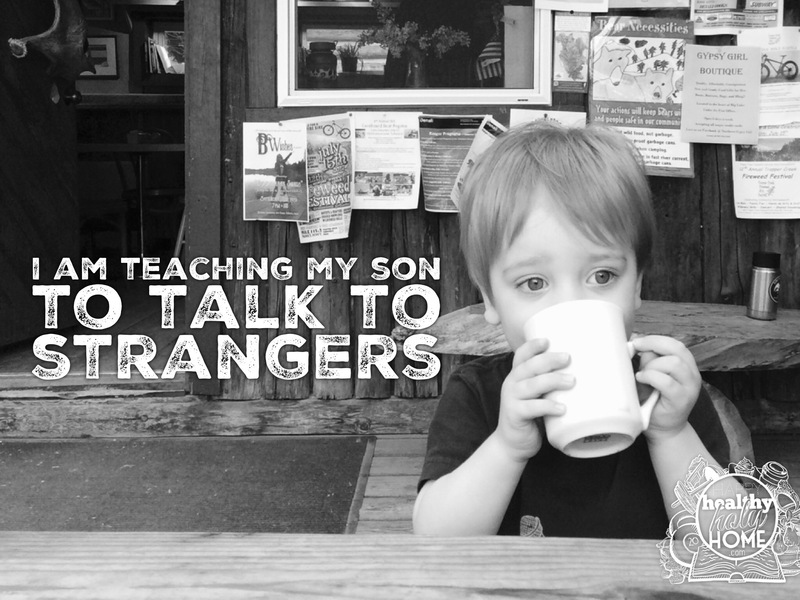 I am teaching my son to talk to strangers. I am not teaching my child to talk to strangers because I am unaware of the dangers lurking about or have no concern over my child’s safety. One thing I learnt the moment he came from my body is that a mother’s protective instinct is powerful, strong, and almost impossible to control. 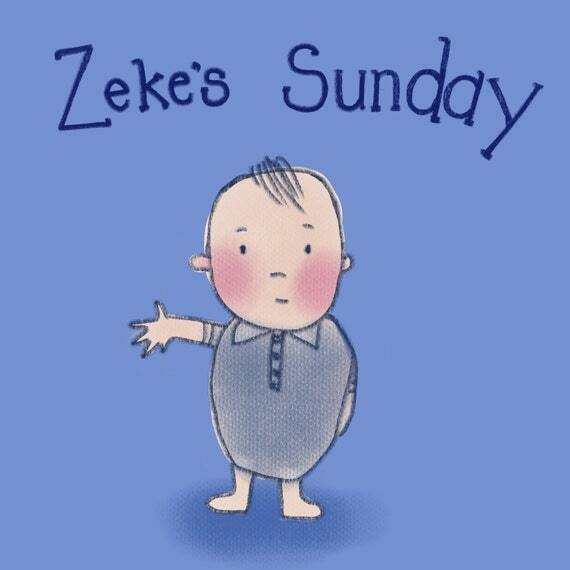 A tiny cough or cold causes me to lift up his name before the Father in earnest. The very thought of anything happening to my son fills me with dread and makes me cling to him just that little bit tighter. Losing sight of him for a moment or having him run away from me in a public place sends my heart pounding and mind racing. No, I’m not teaching him to talk to strangers because I have no sense of danger, or because I am ignorant or neglectful but rather because I have seen where our “don’t talk to strangers” culture has gotten us. This wasn’t the first time (in my first 6 months of living in America) that I’ve heard someone say something like this. We are so filled with fear over a sick minority that we can’t even let our children have a conversation with an elderly lady in a restaurant. We’ve lost our community. We’ve lost our neighbourhoods. More often than not, we don’t know the person who lives next door to us. We have destroyed the villages we crave for, as we walk the lonely, difficult road of motherhood alone. We are missing opportunities to be benevolent and evangelistic. We look at each other with suspicion and mistrust, always expecting that predator to be lurking around the corner, ready to whisk our children away. If we are honest with ourselves, we will realise that telling children to stop talking to strangers just isn’t an effective way of stopping your toddler from running up and talking to strangers. You’ve seen those experiments gone viral shared on social media, right? Those parents educated their children, and yet they still got in a conversation with a stranger. The conclusion they came to in the experiment was that you simply have to talk to children about strangers more about not talking to strangers – but really? Is that helping? And I seriously question, is that even healthy? The reality is that you just can’t take away a child’s natural innocence, curiosity, and love for people – no matter how much you drill it into their head. No matter how many times you say, “Don’t talk to strangers” – children don’t see others as strangers. Someone says, “hello” and they are instantly their best friend. We won’t change that about out children – but we have done a pretty good job of becoming increasingly fearful of strangers ourselves. 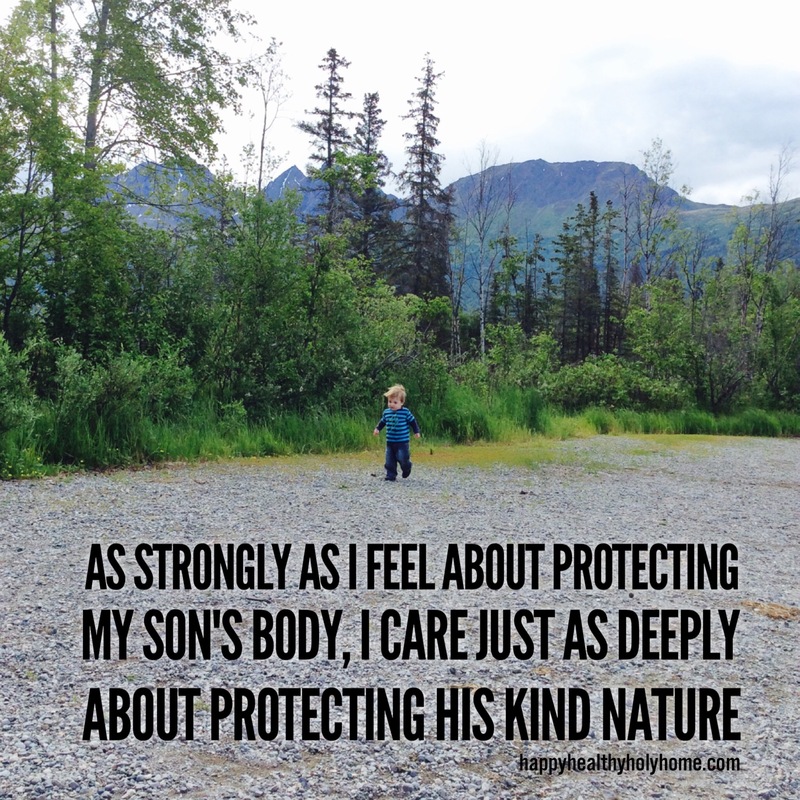 And so, I’m going to keep teaching my child to talk to strangers – because as strongly as I feel about protecting his body, I am just as passionate about protecting his kind nature. I don’t want him to be a part of the distrustful and lonely culture the previous generation of fear has created. I want him to be able to strike up a conversation with a stranger. I want him to be able to see the potential in other human beings. I want him to extend his friendship and love to those he doesn’t know yet. I want him to look at the needy and feel a compassion so strong that it causes him to give and love without thinking of what he’s going to get back. I want him to be a soul winner. Yes, we are to be as wise as serpents but we are also to be as harmless as doves. We are not to be naive about the dangers of the world but we aren’t to let those dangers cause us to become so afraid that we neglect the ministry and encourage our children to breed a new generation of fear. Christians aren’t to be afraid of strangers – they are to be characterised by a love of strangers – and I’m afraid we’re unintentionally teaching our children to be the exact opposite of what God’s desire for us is. The Greek word for the “hospitality” that Christians are to show is philoxenos. It is a compound word comprised of philos (affection or love) and xenos (strangers or foreigners), put together to call us to have “a love of strangers or foreigners”. Hospitality. The direct opposite of xenophobia. A love of strangers. A strong desire to invite strangers into your home and share your life with them. An essential part of Christianity and the most effective tool at your disposal for soul-winning. “[Be] given to hospitality” (Romans 12:13). So often I have women ask me how they can learn to strike up evangelistic friendships, overcome their fear of talking about God with their friends, or be more hospitable. Children naturally have that courage and desire, but all the “don’t talk to strangers” talk is taking that away from them as they get older and understand that strangers aren’t to be spoken to under any circumstances. Please, parents, protect your children’s bodies. Please teach them that there are ways and places they shouldn’t be touched. Please tell them there are places they can’t go. Please tell them they have to stay close to you. Please be careful what houses you let them go unaccompanied to. Please teach them to listen to the sound of your voice and obey it. But also, parents, I’m begging you – please don’t take away their love of strangers. Please don’t place in them a heart of distrust and fear. Cultivate in them that kind and evangelistic heart that seeks to befriend strangers and invite them into their lives. You never know where their natural love and curiosity will lead. Who knows, it may one day help you to lead a soul to Christ – and that is something that is worth more than the whole world. Love this post? Sign up now to receive updates or follow me on Facebook and Instagram. I love your perspective! His heart is the focus! This is a great perspective!! I love that you say you want to protect his kind nature. That is something I strive for with my daughter too!! This is an excellent post! !